We all know that there is no such thing as perfection. At Shook & Stone, we take our clients as we find them, complete with their all-to-human imperfections. As lawyers, we understand that our clients are merely reflections of ourselves, deserving of compassionate representation in spite their faults. With these thoughts in mind, it is fairly common that we are asked to address the issues of drug and alcohol use and the corresponding impact of these behaviors upon disability claims. Potential clients frequently express concern that their right to disability will be affected by their struggles with abuse. This blog specifically addresses that issue. Regardless of whether your claim progresses to a hearing, you have an obligation to tell the truth. If you testify before an Administrative Law Judge (referred to as the “ALJ”), you will be sworn tell the truth. The oath you will take is your promise to provide full and complete testimony, even if that requires you to share information which could negatively impact your claim. You should be honest about any of your past transgressions, recognizing that past mistakes will not automatically defeat your claim. Remember that you can’t hide from the truth, which is likely referenced within your medical records. In making that determination, the ALJ determines whether the individual would still be disabled if he/she stopped using alcohol or drugs. Ledesma v. Astrue, 673 F.Supp.2d 1016 (C.D.Cal. 2009). If the use or abuse is a contributing factor material to that determination, then you cannot, by law, be found disabled. SSR 13-2p. The burden of proving that drug or alcohol abuse is not a contributing factor lies with the Claimant. Para v. Astrue, 481 F.3d 742 (9th Cir. 2007). In simpler terms, if abuse is an issue, you must show that your disability would be present, with or without use of drugs and/or alcohol. Any individual considering applying for disability should contact an attorney immediately if they are concerned about current or past drug and alcohol use or abuse. 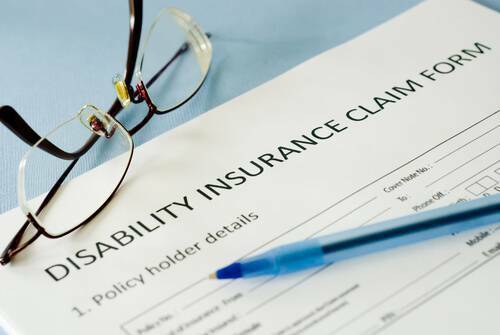 While these issues will not necessarily prevent someone from obtaining disability benefits, he/she must meet the burden of proving that the use or abuse is not a significant contributing with regard to the claim of disability. Over the years, we have represented thousands of claimants facing these issues. We welcome the challenge of establishing disability in spite drug and alcohol use and abuse. We understand that that abuse often represents an individual’s struggle to live with disabilities that have changed their lives. Workers’ Compensation. What is it? What Does it Cover?